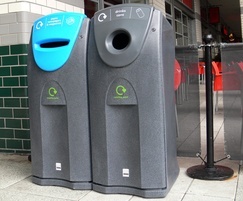 The Pewsham recycling unit PRU401 is a single unit designed to collect separate waste items but can be linked to other units to create a multiple recycling zone. 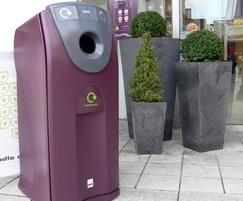 The front opening lockable door hold a sack retention hoop system with a capacity of 140 litres of waste. 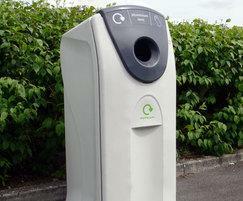 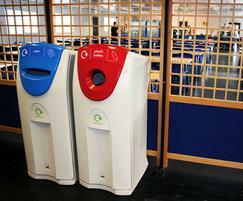 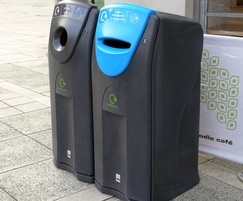 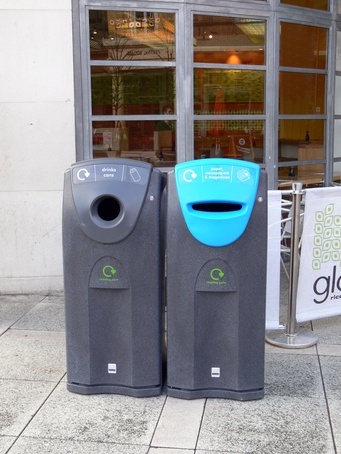 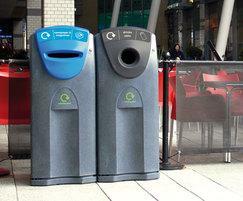 Each unit can be adapted with apertures for a variety of recyclable items or general waste. 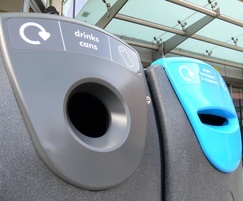 The Pewsham Recycling Unit PRU401 can be manufactured in various colour ways or a recycled material finish and personalised with site specific graphics upon request. 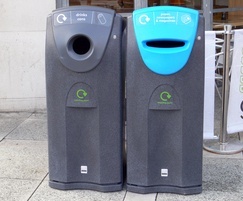 The recycling unit has an integral ballast cartridge which can be filled with water or sand for extra stability when free standing or can be bolted down to finished grade for a more permanent and secure fix.